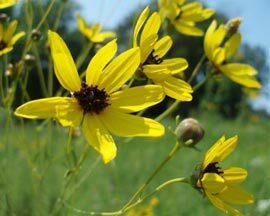 Daisy-like compound flowers appear singly on slender flowering stems on the upper half of the plant. Each plant tends to sway with the passage of every breeze during a sunny afternoon, exerting a hypnotic effect. Grows well in a variety of soil types. 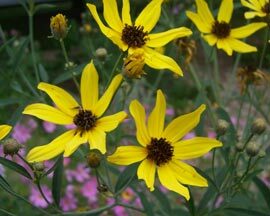 Looks great when mixed with tall grasses or cup and compass plants.